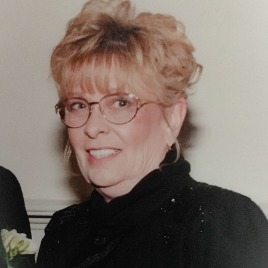 Marilyn Anne Bielawski (nee Risher) age 73, passed away peacefully on Monday, February 26, 2018, in Lincoln, DE. Marilyn will be forever remembered by her husband of almost 40 years and best friend Anthony. Marilyn is survived by her children Gerald, Gene (Marisol), Richard (Mary) and Danielle and grandchildren Drew, Evan, Sadie, Megan, Dustin, Ryan, Josephine, Malia, Brianna, Derek, Luca and Ezequiel, predeceased by stepson Anthony and grandchild MaryAnn. Marilyn was a tough but very loving woman. She was a mother figure to many. Her lightheartedness and enjoyment of laughter will be missed by all. Marilyn will be cremated by Berry-Short Funeral Home. Memorials may be made in her honor to American Cancer Society (https://www.cancer.org/involved/donate/memorial-giving.html) or Delaware Hospice Center (https://www.delawarehospice.org/donate-now/). Healgrief has a memorial to share with you. https://healgrief.org/marilyn-anne-bielawski/ We invite you to express condolences, share special memories and photos and light virtual candles to honor and celebrate the life of our loved one. We also invite you to share this with others who may want to be notified as well. You may do so by sharing the link or by clicking the “Share this Memorial” button from within the memorial itself.